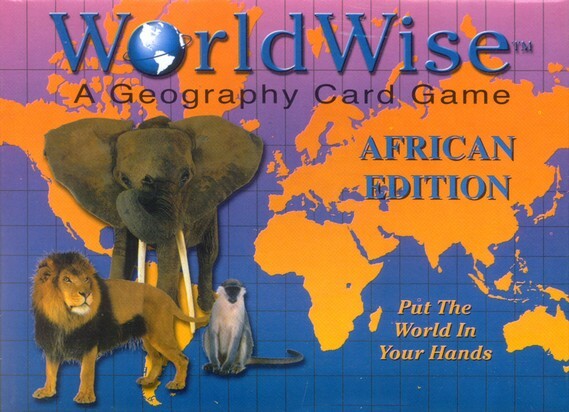 Really learn African geography--and make it fun! Each country and body of water on the African continent has a card. Players must play a card whose geographic location shares a boundary with the card last played...but be careful--if another player thinks you're incorrect, they can challenge you, and whoever loses the challenge has to draw two more cards. Add in some wild cards, and you have one exciting game on your hands. When no one can put down a card, the player with the fewest amount of cards wins! 2-8 players. Ages 9 & up.